“Open source Medical Technologies” means sharing the design, documentation, source-code, ideas and blueprints, as well as results and collected data, with other professional medical device designers. The scope of this workshop is to develop concrete strategies to reinforce research on sustainable healthcare through global collaborative design, a process which holds the key to economic growth, competitiveness, health, quality of life. 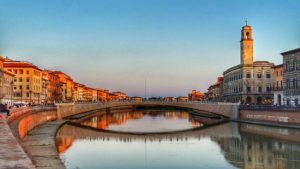 The conference will be held on 1 – 2 September 2018 at the Convention Center "Le Benedettine", Pisa, Italy. The programme will be updated continuously up to the conference. Teaching methodologies on new fabrication technologies, and design approach and problem-solving in the context of BME. 1 With proof of status – Any individual, who is engaged as a full-time graduate or undergraduate, in a university or college program. You will be asked to submit a copy of your student id in the registration form. The Pisa International Airport G. Galilei is connected with direct flights to many European Countries. The Airport is located 10 minutes far from the City Center, and it is served by buses (frequency 15 minutes) and by the new light- metro People Mover. 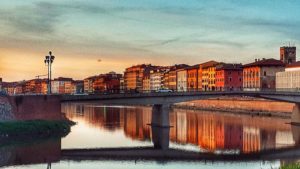 In case you are wondering what you could do in Pisa in September (in addition to the scientific and social program of our conference), here are some tips below. 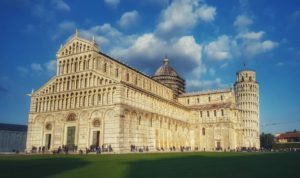 Piazza dei Miracoli is recognized as one of the most important center of European medieval art and one of the finest architectural complexes in the world. The bell tower, located behind the cathedral is the famous Leaning Tower of Pisa. In 1987, the whole square was declared a UNESCO World Heritage Site. Close the Piazza dei Miracoli, the museum of sinopie collects unique and extremely rare graphic works representing the first step toward making the frescos on the walls of Camposanto in Pisa. More information at http://www.turismo.pisa.it/en/itinerary/detail/Piazza-dei-Miracoli/ and http://www.opapisa.it/en/square-of-miracles/sinopie-museum/. 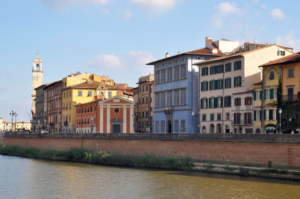 Many poets and artists have been fascinated by Lungarni Pisani having inspiration from the beautiful noble palaces that overlook the Arno river. This is a picturesque walk, which has as its theme the river has always been inextricably linked to the life of the city. During your walk on the Lungarni, you can join wonderful views of typical and ancient buildings, in particular Palazzo Blu, a centre for cultural activities and exhibitions. In particular, in September you can join two interesting exhibitions: “Lorenzo Mattotti. Immagini tra arte letteratura and musica” and “Pisa città della ceramica”. Please, visit the website https://palazzoblu.it/ for more information and for booking the tickets. 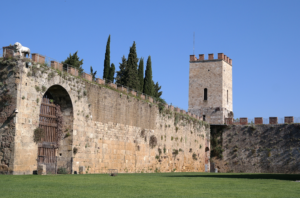 Pisa wall’s are the oldest city walls in Italy and remain almost entirely intact. After years of works and renewal, visitors can now walk on these impressive and suggestive walls during the weekends. Tickets (5 euros) are available at the four gates: Porta Nuova piazza dei Miracoli, Porta a Lucca, Porta San Zeno and Porta Calcesana.